One of this year’s All-Ireland football semi-finalists will have to play their biggest game of the year just six days after their final Super 8s fixture. Under the new, compressed format that the GAA has introduced this year teams are facing a tighter turn between matches. And the upshot of this is that there is a logjam of fixtures at the business end of the season. The final round of Super 8s group games is on the weekend of 4 and 5 August. One of the teams that is in action on Sunday, 5 August will be asked to line out again in their All-Ireland semi-final on Saturday, August 11. The two last four games are down for decision on 11 and 12 August with the fixtures still to be decided. But what we do know is that the winner from Group 1 will take on the second place team from Group 2 and vice versa. And it now seems unavoidable that one side will a very tight turnaround. The Super 8s, the round-robin quarter-final stage featuring two groups of four teams each, starts this weekend and features three rounds of games over four weeks. Three teams that have successfully come through the qualifiers – Kildare, Tyrone and Monaghan – are being asked to play six games in seven weeks and if they make the semi-finals that will increase to seven games in eight weeks. Kildare and Tyrone both joined the qualifier trail at the first round and after winning there they had a week off before round two, where they were joined by Monaghan. Since then they haven’t had a weekend off and they won’t have until the break in the Super 8s on 28 and 29 July. No team has yet publicly discussed the possibility of a six-day turnaround because they are all concentrating on the three games ahead of them. But once it becomes apparent which team draws the short straw, it is certain to generate controversy. 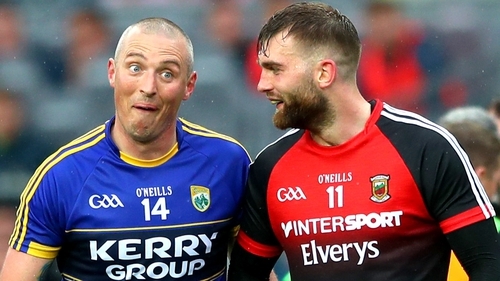 Last year Mayo played seven Championship games in nine weeks, including three rounds of qualifiers, and replays in both the All-Ireland quarter-final and semi-final. Up until that point, that was the busiest summer that any county had had to contend with, but 2018 could top that for one county.